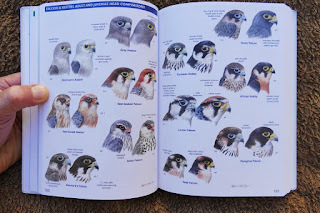 As bird enthusiasts, we love books about birds. 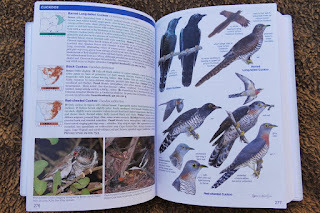 The new bird guides in the book shop always attract attention, and in South Africa we are truly blessed with the variety and quality of bird guides. 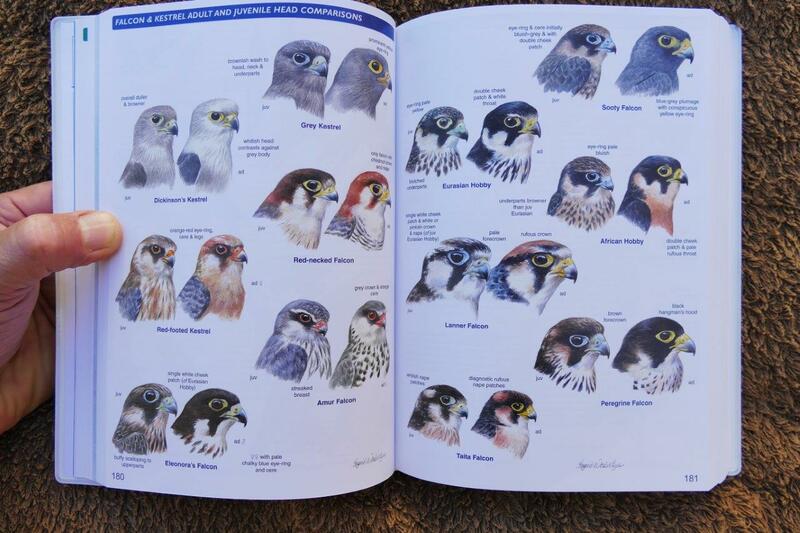 The latest bird guide to hit our shelves late October 2016, is the second edition of the very popular Roberts Bird Guide. 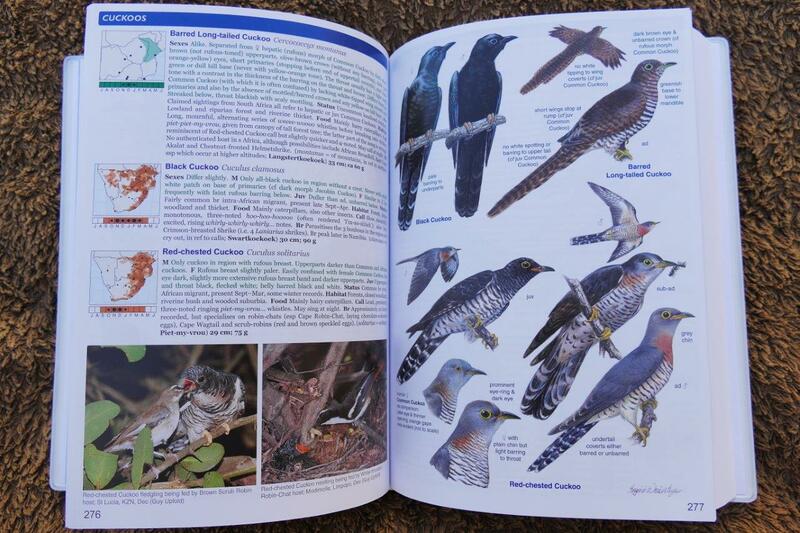 I could not wait to get a copy in my hands and evaluate it against the first edition and other bird guides. 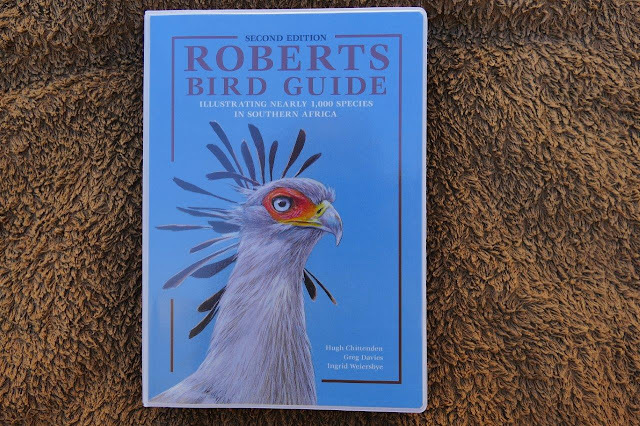 The first obvious differences when compared to the first edition, is the impressive drawing by Ingrid Weiersbye of a Secretarybird’s head on the front cover, and the more than 100 pages extra, taking the book to a total of 576 pages. I received a flexi-cover version of the book, and the bind quality appears to be the same as the extreme good quality of the first edition – virtually indestructible and geared for field work. The book covers 971 bird species of Southern Africa – the area south of the Cunene, Kavango and Zambezi rivers, including Namibia, Botswana, Zimbabwe, Mozambique, South Africa, Swaziland and Lesotho. All the habitats found in Southern Africa with the specific biomes are described in detail. This is further illustrated with maps of the political boundaries, topography, and annual rainfall. 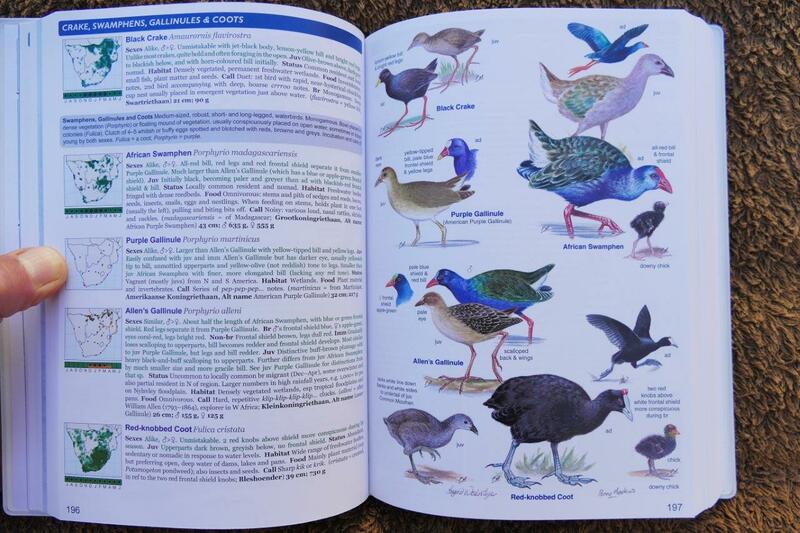 A glossary that reminds one of a dictionary with all bird related terms are also included. For each of the 971 species there are colourful artwork of the different sexes and ages for identification purposes, plus text describing special features, traits, food preference, habitat, migration status, calls, size, scientific and Afrikaans names. Distribution maps and breeding seasons are also included for each of the species. A new and welcome addition in this edition is a selection of photos of some species showing them in their specific habitat. 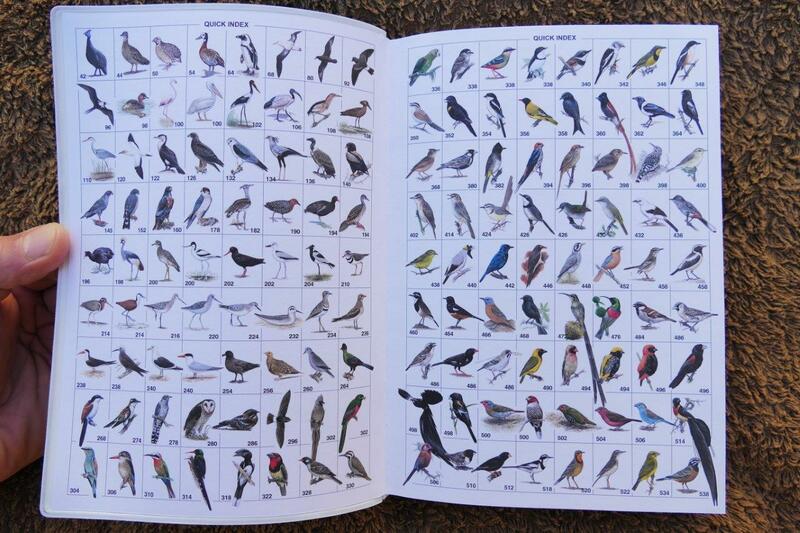 This is the most comprehensive description of birds in field guides of this extent. 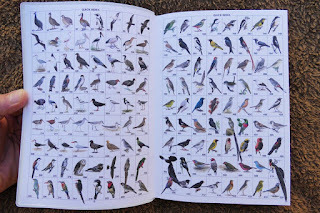 There are three indexes to make it easy locating a bird you are looking for: a quick visual index, a single page written index, and a combined index with English, Afrikaans and Scientific names. 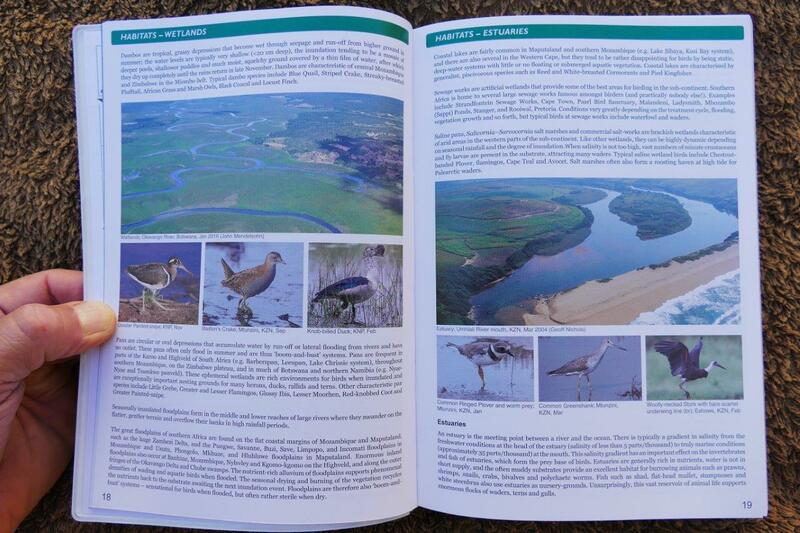 This should appeal to all levels of birders and twitchers alike. I do miss the old Roberts number that was part of the species description in edition 1. It is not explained why this was left out, but I assume it is the adoption of the nomenclature and taxonomy used by the International Ornithological Congress in this second edition. 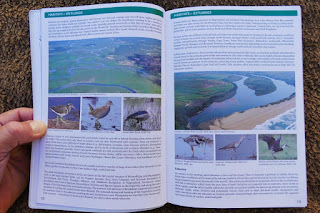 I feel thrilled with my new version of the Roberts Bird Guide and can recommend it unreservedly for all bird enthusiasts. The Afrikaans edition will be published in March 2017.